We are aware that Aamir Khan has performed a disco number in recently released film Delhi Belly.Now all you guys get ready for Aamir Khan's new role as a Disco Fighter.Yes! Disco Fighter is the sequel of Delhi Belly which is going to be directed by Aamir’s wife Kiran Rao and Aamir Khan Productions is going to produce the film. 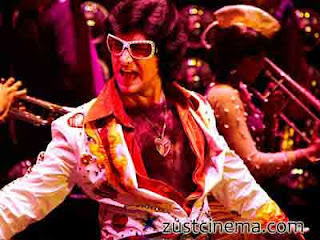 Aamir Khan as Disco Dancer in the end of credits to Delhi Belly will be character of Aamir Khan in the seqeul titled Disco Fighter. The fourth character will be Aamir Khan in sequel of the film.This idea was given to Kiran Rao by Aamir Khan. As of now Aamir Khan is happy that Delhi Belly is running succesfully although it received mixed reviews on the release day of the film.Aamir Khan production Delhi Belly movie has collected 30 crores till now. It is for the first time Aamir and Imran Khan to share the screen space for the Disco Fighter film.Disco Fighter film will be started off with the Aamir Khan's item number which was the end of Delhi Belly film.Imran Khan, Vir Das and Kunal Roy Kapoor will be playing lead role in Disco Fighter film. Finally Delhi Belly and ‘Bbuddah …’ again to lock horns with thier upcoming sequels too..